Electric go karts provide a fun and exciting way to explore your surroundings without negatively impacting the environment with excessive carbon emissions. In our article, we’re going to review five of the best electric go karts and rank them according to popularity. In addition, each review will include the main specifications for the given product. The MotoTec MT-GK-01 is an excellent electric go kart model. With its powerful 1,000-watt electric engine, it can easily climb hills and other steep terrains. It has three different adjustable speed settings with the maximum being 20 mph. 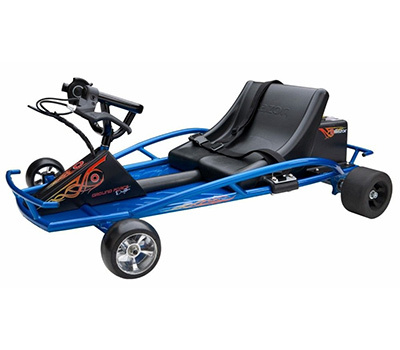 As far as who it is designed for, this go kart is safe for you by children 13 years of age and older. Another nice feature that is worth mentioning is the textured tire design. 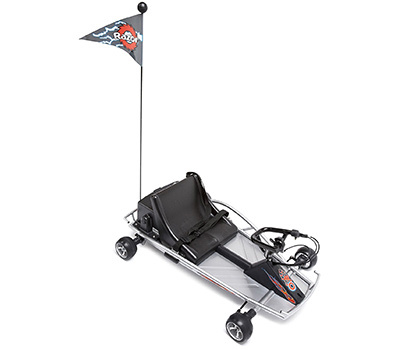 Perfect for a wide range of environments, this go kart can really get up and go. Combining both an affordable price tag with a much lighter frame design, the Razor Ground Force is another excellent option to consider. Designed for children ages eight and older, this go kart is powered by a small electric engine that is remarkably quiet. The molded aluminum wheel design is fairly easy to care for and to change out as needed. In addition, we like that the accelerator controls are built into the steering wheel for improved handling. 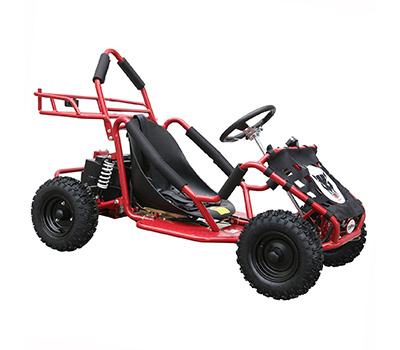 The ZXTDR electric go kart is another very popular option to consider. Recommended for children 10 years of age and over, parents should be aware that this go kart can reach speeds of up to 25 mph. 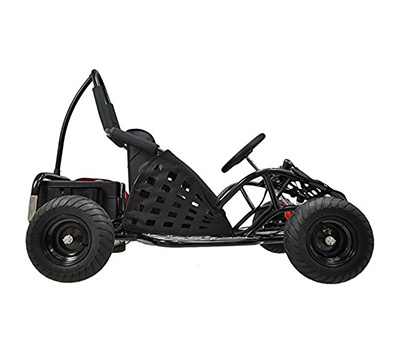 When it comes to experiencing fast speeds around your property, this go kart is able to deliver. The thing we found to be most exciting with this particular choice is that the average battery life is substantially longer than many other products. In addition, the frame design is quite durable and comes in three different style choices. The Actev Arrow Smart-Kart earns its place on our list for being one of the best electric go karts for small children. Designed for kids as young as eight years old, this go kart offers a wide range of safety features. One of the most popular ones is the autostop collision avoidance sensor. In addition, there is also a companion app that parents can download for iOS and Android devices to take control of the vehicle’s speed when needed. It also has an emergency stop feature that parents can use as well. With a rider weight limit of 140 pounds, the Razor Force Drifter Kart is another excellent choice for young children and teens. 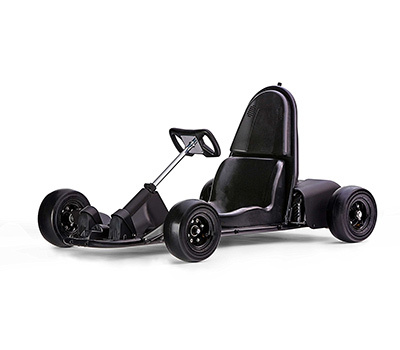 The kart is designed to drifting effortlessly across smooth terrain types like asphalt. As for its operational speed, it runs for approximately 40 minutes on a full battery charge. The engine is very quiet and provides just enough power to climb small slopes and hills. We also like that there is a safety strap to keep your little one buckled in while they are driving around. We consider not just one of the best electric go karts on the market, but also one of the best go karts in general. Now that you’ve seen what the best electric go karts are, you should also consider best electric go karts maintenance practices. Just like with your automobile, your new go kart will require regular maintenance to keep it running its best for years to come. One of the most important areas to pay careful attention to is the engine. In this article, all of our recommendations used electric motors. With electric engines, one of the most important things to check frequently is the wiring. All cables should have insulation that is fully intact. Over time, this insulation may begin to degrade. One of the most common causes of this is exposure to direct sunlight. In the event you discover that the insulation layer is frayed, always replace it with a compatible part from the manufacturer. In the event you decide to go with a gas powered go kart instead, you should always remember to check the air filter frequently and to replace it as needed. In addition, you should only use fuel that is compatible with the engine. When in doubt, consult with your manufacturer to make sure you are using the correct oil and gas combination for your engine. For all go karts, the wheels are another area that you should never ignore. While go kart tires are typically highly resistant to punctures, it’s possible for them to develop surface cracks with age. You should never ride a go kart with wheel damage and should replace it as soon as possible to ensure safe future operation. The last component to always pay attention to is the braking mechanism. For most models, they use a handbrake system. Be sure to replace the connectors based on the directions from the manufacturer and make sure to keep the area free of debris. Without proper maintenance, even the best electric go karts wear down quickly. Electric go karts offer a fun way to explore the surroundings without negatively impacting the environment with the release of carbon emissions. The products we recommended have earned great reviews from customers and utilize durable components. If you have used any of the products we reviewed already, feel free to share your experiences with us. What model do you think should be featured on a list of best electric go karts?